The correct term for LASIK is actually “laser-assisted in situ keratomileusis,” which is the most successful and commonly performed laser eye surgery used to treat a number of eye problems such as myopia (near-sightedness), hyperopia (far-sightedness) and also astigmatism. LASIK laser eye surgery requires only topical anesthetic drops and no bandages or stitches are used. Our specialist eye doctor will perform a thorough eye exam to ensure your eyes are healthy enough for the procedure. He will evaluate the shape and thickness of your cornea; pupil size; refractive errors as well as any other eye conditions. Like other types of refractive surgery, the LASIK procedure reshapes the cornea to enable light entering the eye to be correctly focused onto the retina for much better and clearer vision. Before your surgery begins, numbing eye drops are applied to your eye to prevent any discomfort during the procedure. A small tool is used to hold the eye open and steady. This is not uncomfortable as your eyes have already been numbed and you do not feel it. Then, the doctor uses a special tool to create a thin, circular flap in the cornea. The flap is carefully folded back to access the underlying cornea and remove some corneal tissue using the excimer laser. This highly specialized laser uses a cool ultraviolet light beam to remove microscopic amounts of tissue from the cornea to reshape it so it more accurately focuses light on the retina for improved vision. After the laser reshapes the cornea, the flap is then laid back in place, covering the area where the corneal tissue was removed. The cornea is allowed to heal naturally. 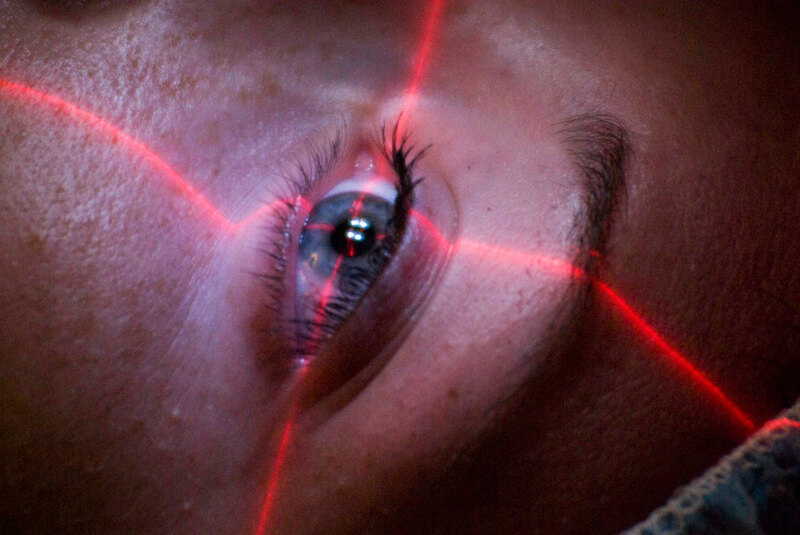 In the majority of cases, laser eye surgery is pain-free and completed within about 10 – 15 minutes for both eyes. Results can usually be seen in under 24 hours. You’ll need to rest after surgery and you may feel some slight discomfort or ‘graininess’ in the eyes but this normally passes in the following hours. You should stay in Lima for 14 days to allow time for follow-ups, checks and final discharge. There is the possibility later that some people may need to use glasses for things like reading but overall, the results are typically life-changing and LASIK has very impressive success rates. CAN YOU PLEASE GIVE ME THE PRICE OF LASIK SURGERY TO CORRECT BOTH EYES VISION AND ALSO TELL ME IF I WOULD BE ABLE TO HAVE IT DONE IF I HAVE DRY EYE CONDITION?? Please check your inbox as we have replied privately. Can you also advise me of the costs? I will be in Lima the end of August 2018. My prescription is at -6.25 at this time. Hello Luis. In almost all cases, patients with dry eye syndrome can still have LASIK treatment. We’ll need to do some exams with you and see you in person, but it should be fine. We will send you some information by email later today. Thanks! I am interested in the cost and if there is a wait to have the LASIK eye surgery. I will be in Peru to have some dental work done the first week in October and I would like to have my eyes done while I am there as well. Thank you. Hi Patricia. We’ll email you more information this afternoon about Lasik in Lima. Interested in exploring possible refractive eye surgery. Will be in Lima for next 19 days. Is there a waiting list for March or are open appointments available? Can you provide approx cost for both eyes? thanks. Hello Guillermo! Thanks a lot for the message. Please check your email inbox as we have replied privately.